Four Roses Bourbon’s Brand Ambassador Al Young is among the world’s whisky(ey) royalty as he has joined the Whisky Magazine Hall of Fame America inductees. The Hall of Fame is “a permanent tribute honoring those noteworthy individuals who have made a lasting contribution to the world of whisky,” according to global liquor industry publication Whisky Magazine. The induction took place Feb. 24 during the Whiskies and Spirits Conference in New York, and other inductees included Bill Samuels Jr. of Maker’s Mark and Steve Beal of Diageo. Young has been with Four Roses for 47 years, serving in a variety of roles in quality control and management. In 1990, he became distillery manager of Four Roses’ Lawrenceburg, Kentucky facility and in 2007 was named Four Roses brand ambassador, a role that has him criss-crossing the country sharing the story of Four Roses and its bourbons. He is also historian for the storied 127-year old Kentucky bourbon brand, having researched archives, distillery records, news accounts, photos and artifacts in order to write the coffee-table book “Four Roses: The Return of a Whiskey Legend,” published in 2010. 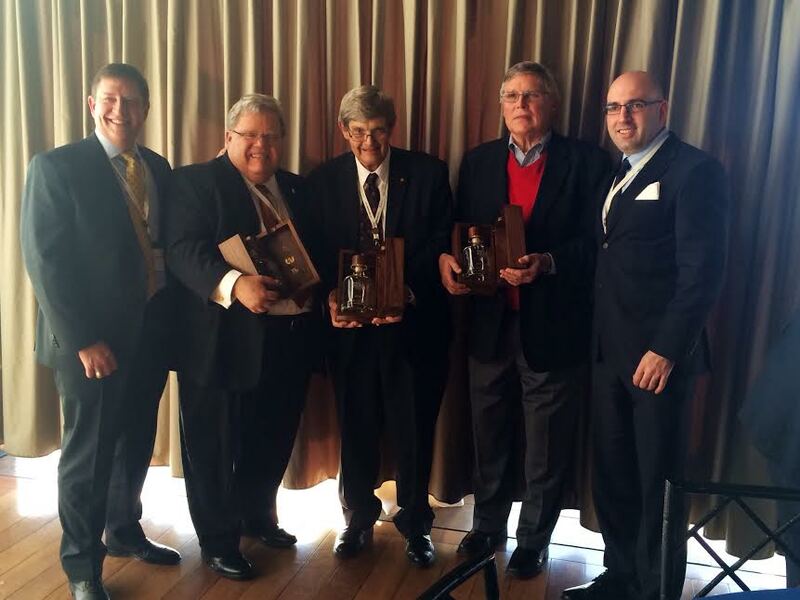 Young joins Four Roses Master Distiller Jim Rutledge as Whisky Magazine Hall of Fame America inductees (2013 induction). Both also are members of the Kentucky Distillers’ Association Kentucky Bourbon Hall of Fame, with Rutledge inducted in 2001 and Young in 2011.